The magic from young Dutchman Sandro Silva is the future sound of electro. Blazing hot with releases on Revealed, Spinnin', Ultra, Dim Mak, and Armada, and pounding the stage at EDC Las Vegas, Electric Zoo NY, TomorrowWorld, Amnesia Ibiza, and many more of the world’s elite hotspots, his presence is undeniable. The road he’s taken to the top is a fast one, but there are no brakes in sight for his musical career. Electrifying dance floors with Mixmash icon Laidback Luke, Sandro Silva filled a gap in the dance music world. He was guided by the main man while letting his own natural talent shine. Silva reached breakthrough status on Pete Tong’s Essential Selection program with ‘Prom Night’, and the track blew up as the Essential Choice. Major buzz soon followed from dance music legends like Eric Prydz, David Guetta, Sebastian Ingrosso and Tiësto. His track ‘Epic’ (a collaboration with Quintino) was released on Musical Freedom and rocked YouTube gaining over 15 million views. The tune crashed global charts and was certified platinum in Holland and Gold in Belgium. Anticipated by icons throughout the electronic music scene, Sandro’s release on Spinnin' Records with ‘Puna’ was massive. ‘Payback’, which came out later in the year on Hardwell’s Revealed Recordings, exploded after a heart-pounding drop at Tomorrowland by the king himself. The winter months that followed saw massive releases on Sander van Doorn’s Doorn Records and Calvin Harris’s Fly Eye Records. Zedd took notice, taking Sandro with him for the ‘Clarity’ tour throughout Mexico in late 2013, after experiencing the Silva spirit at David Guetta’s F**k Me I’m Famous party in Ibiza. Never shy of an iconic show, Sandro also graced Australia’s coast line for a heated start to their spring. Since then, Silva’s done two weeks in a row at Tomorrowland, TomorrowWorld, ULTRA in Miami, UME, and Escape from Wonderland to name but a few events. With a Lights residency in Las Vegas, shows in Ushuaïa Ibiza, and a spot at the Sziget festival in Hungary, it’s safe to say he’s effectively toured the globe. 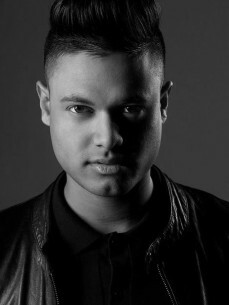 His 2014 releases reached Fly Eye Records, Armada Music, Mixmash Records, Doorn Records and included a chart-topping collaboration with Arston on Revealed. 2015 may still be young, but the talent is now signed with ACE Agency, and rest assured that an awful lot is just around the corner.